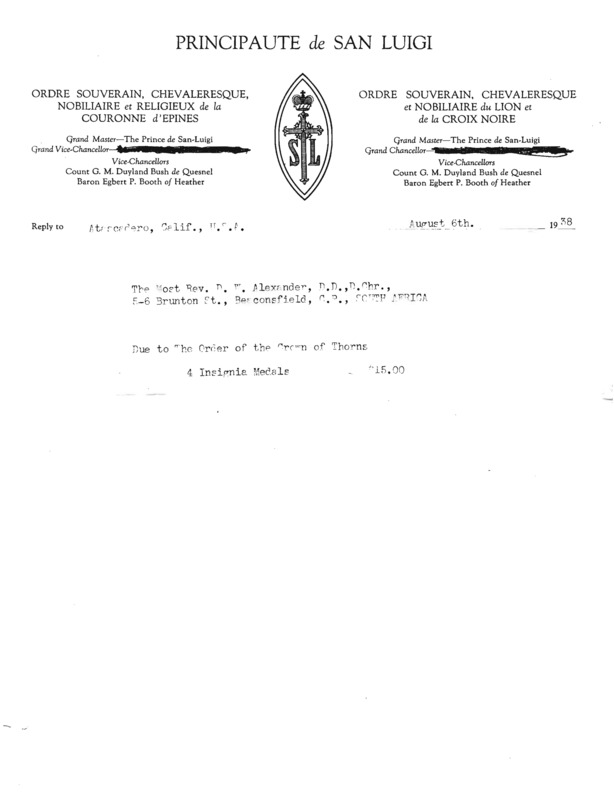 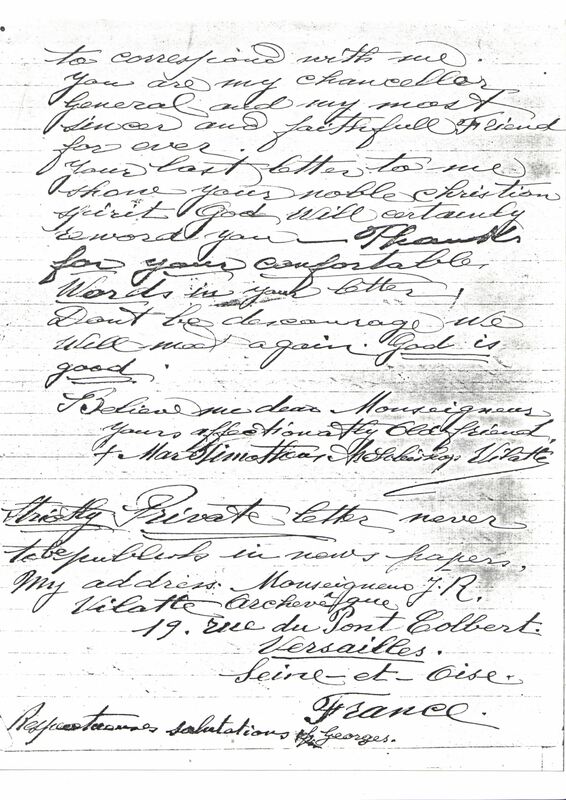 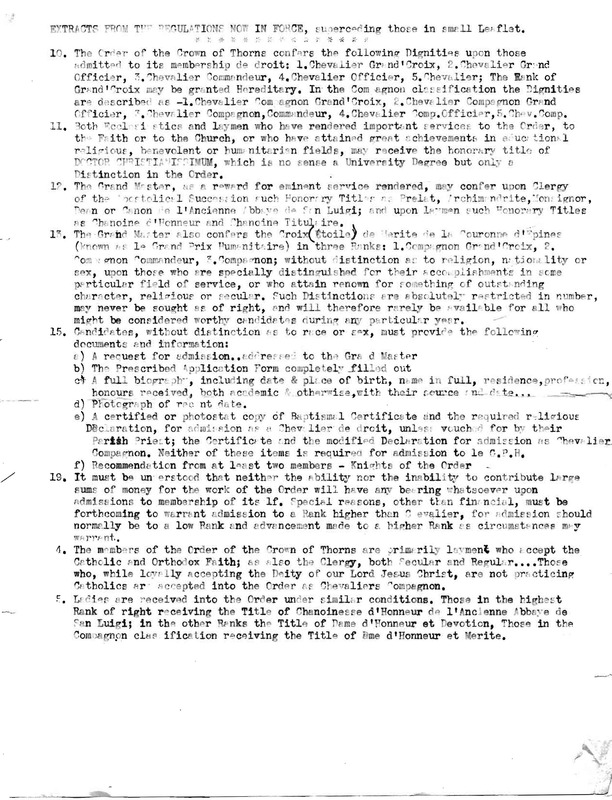 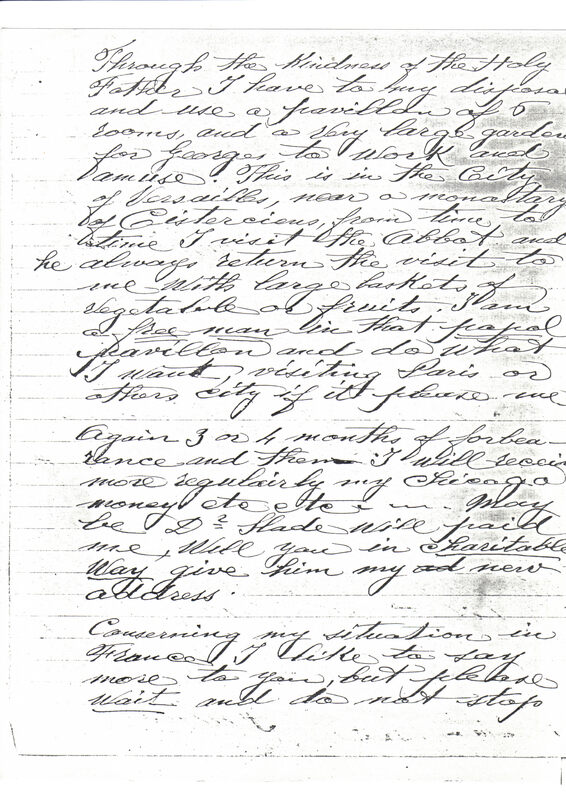 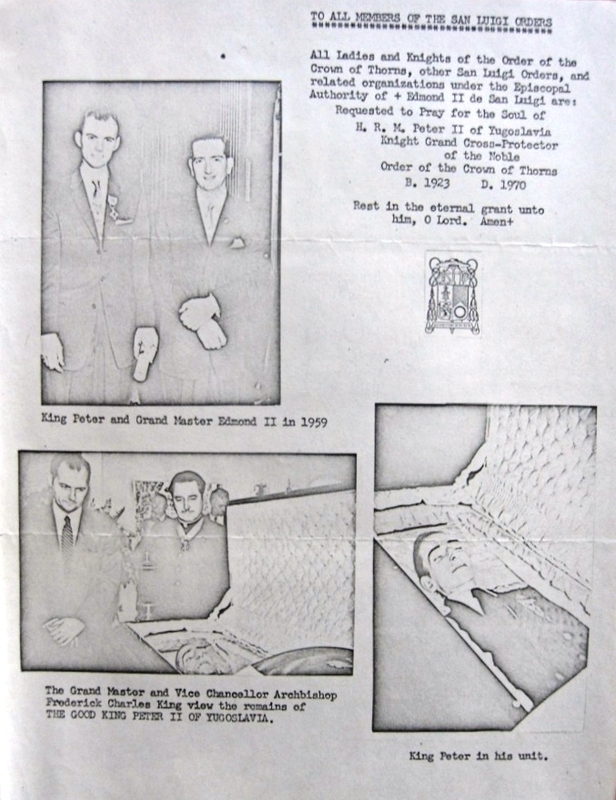 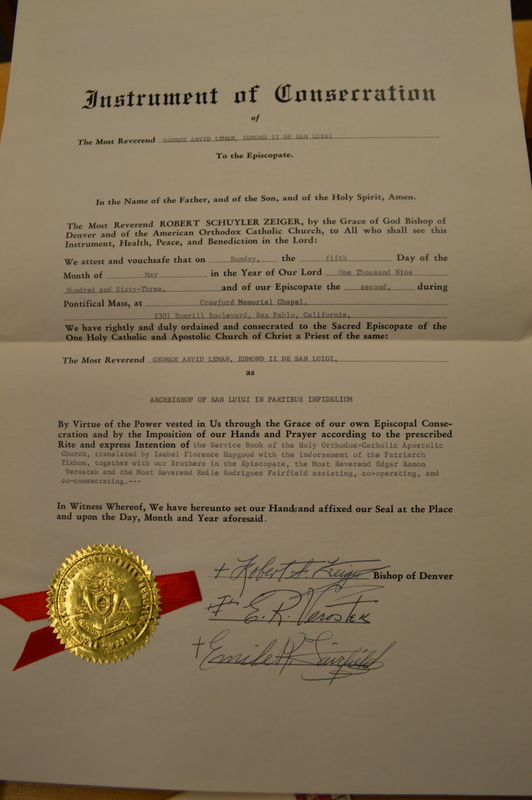 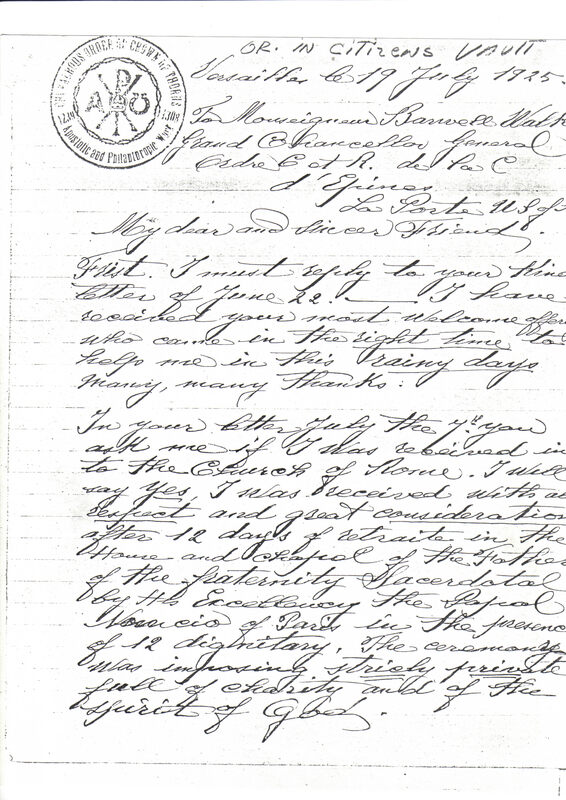 Some historic documents from our archives are reproduced on this page. 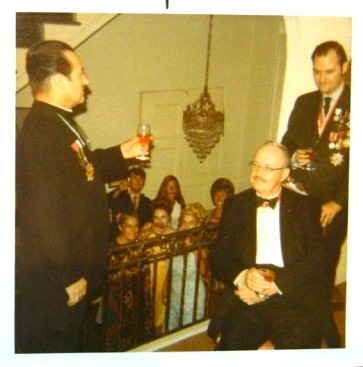 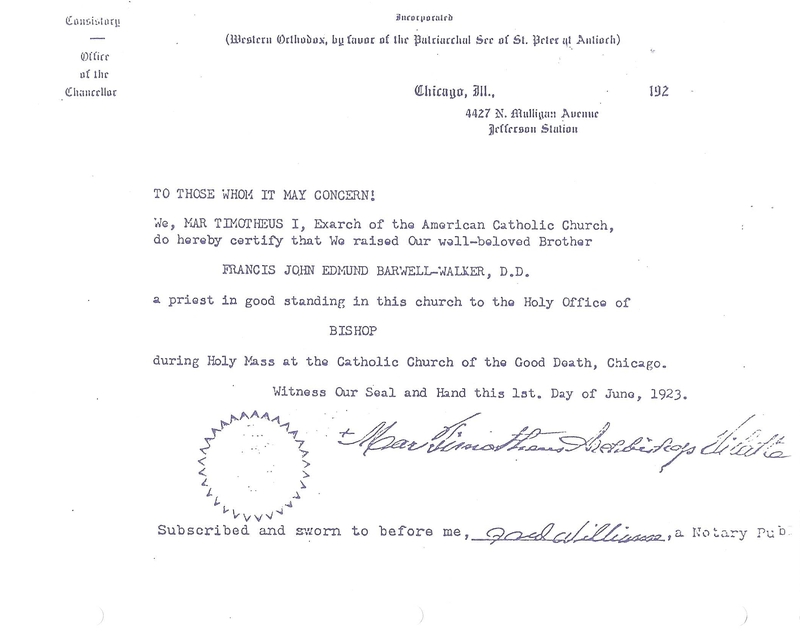 >>1902 Mgr. 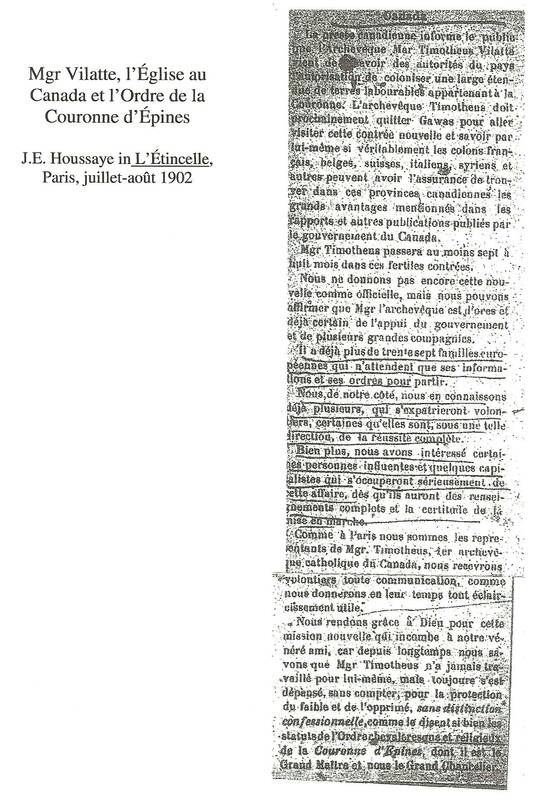 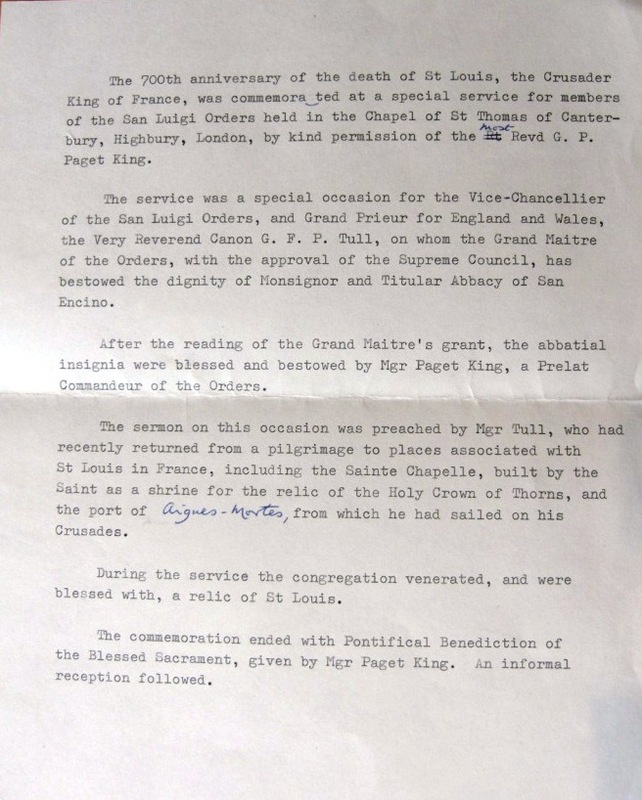 Houssaye, Grand Chancellor of the Order of the Crown of Thorns, writes concerning the Order and Prince-Abbot Joseph III’s ministry in Canada. 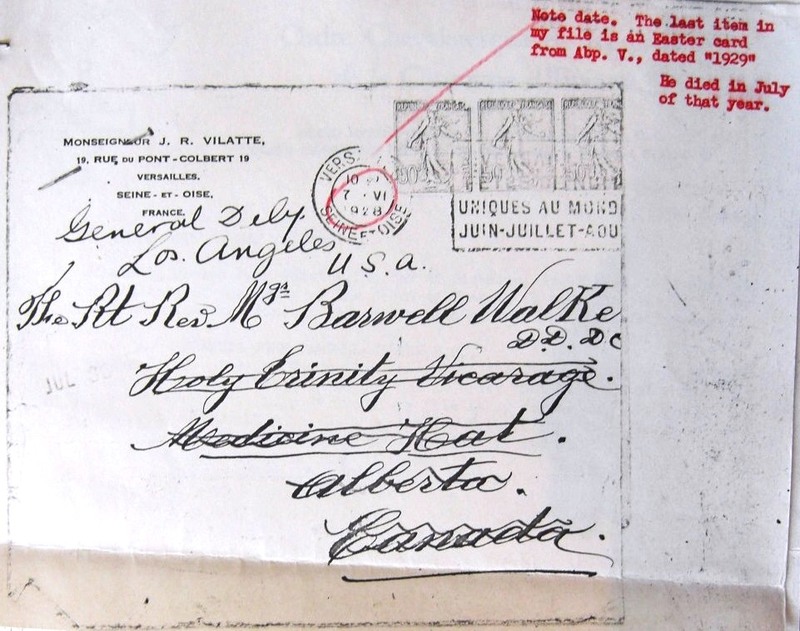 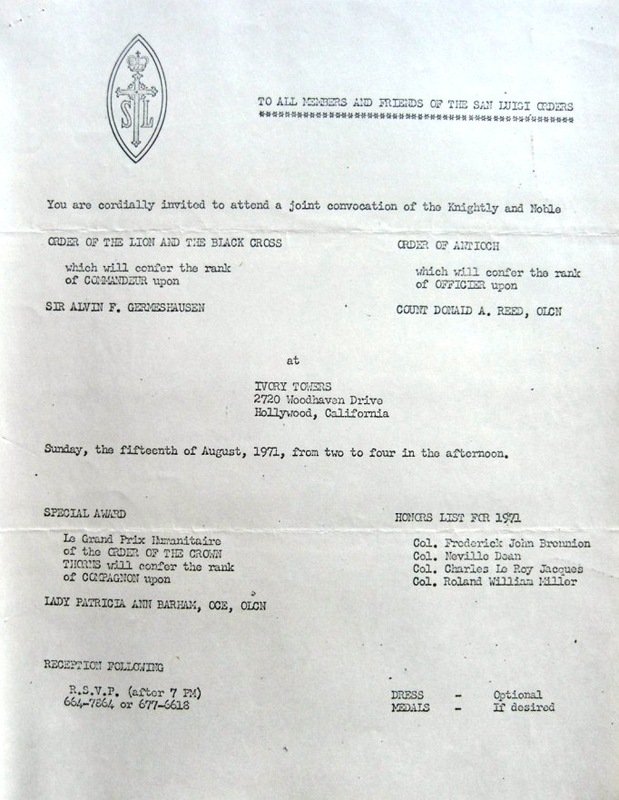 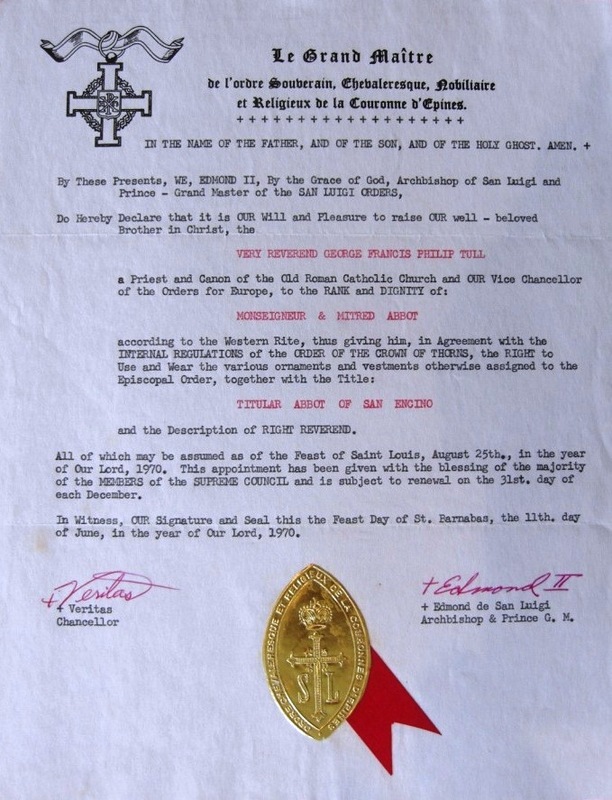 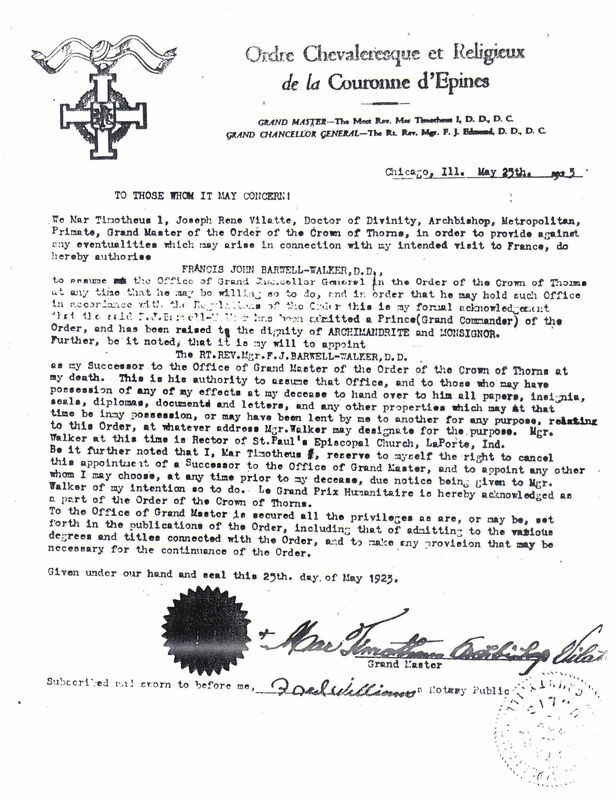 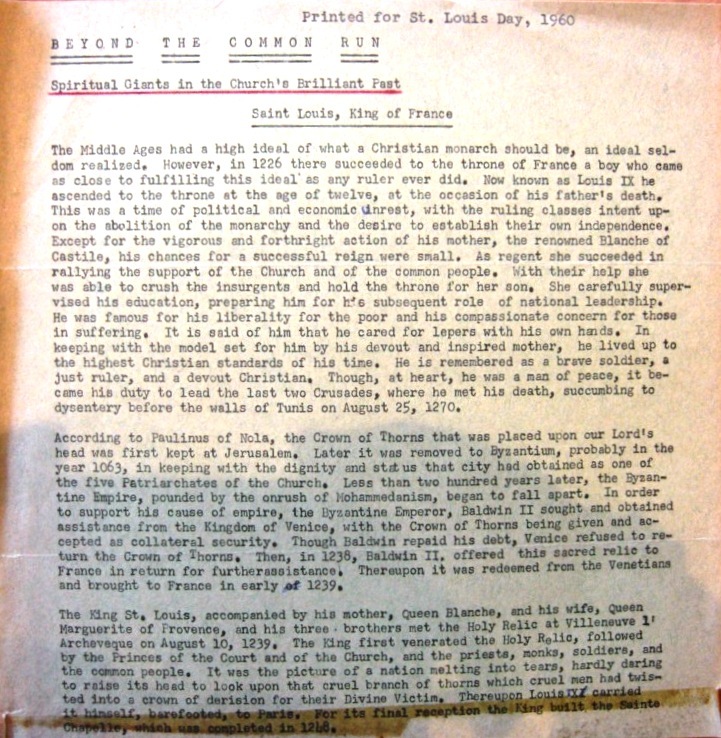 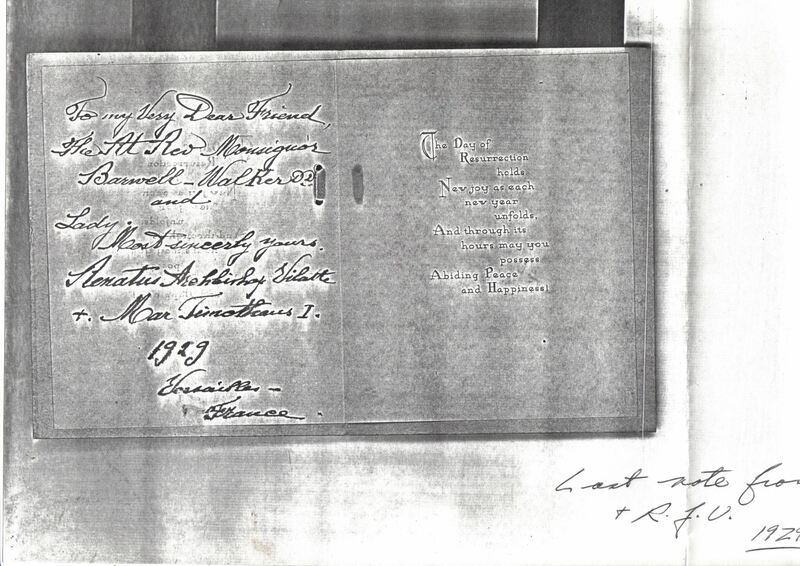 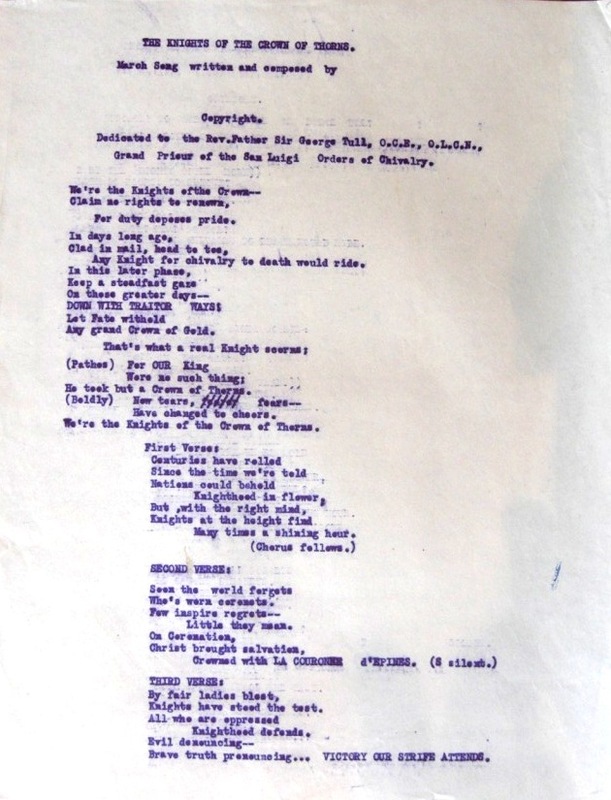 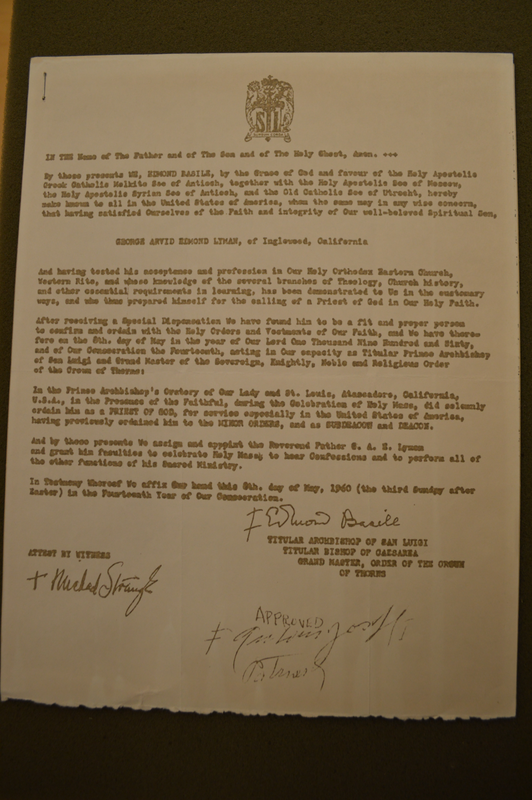 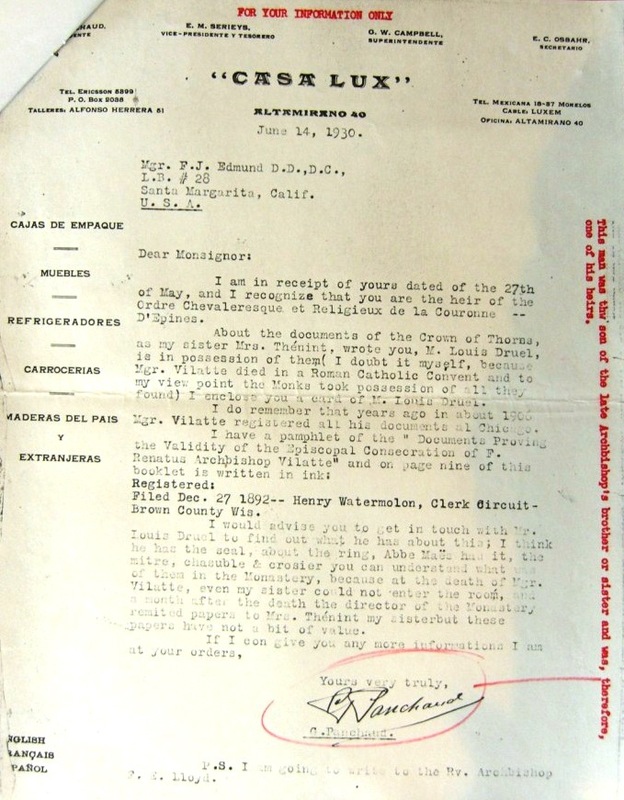 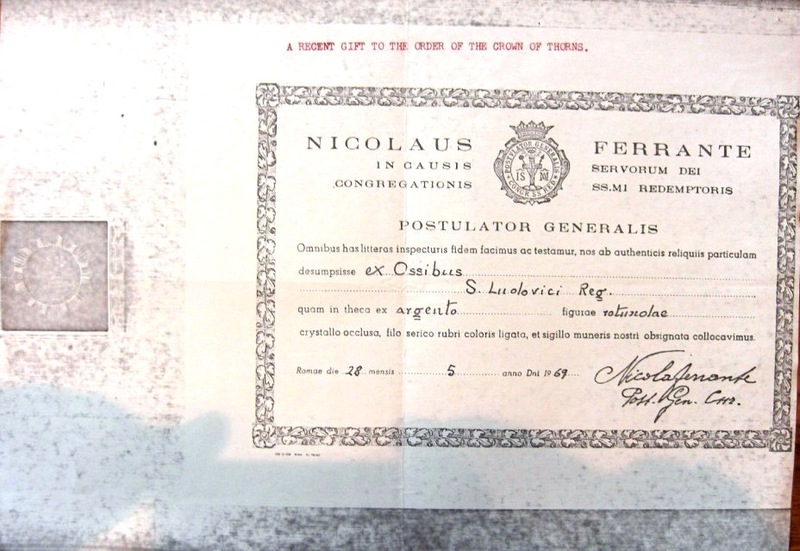 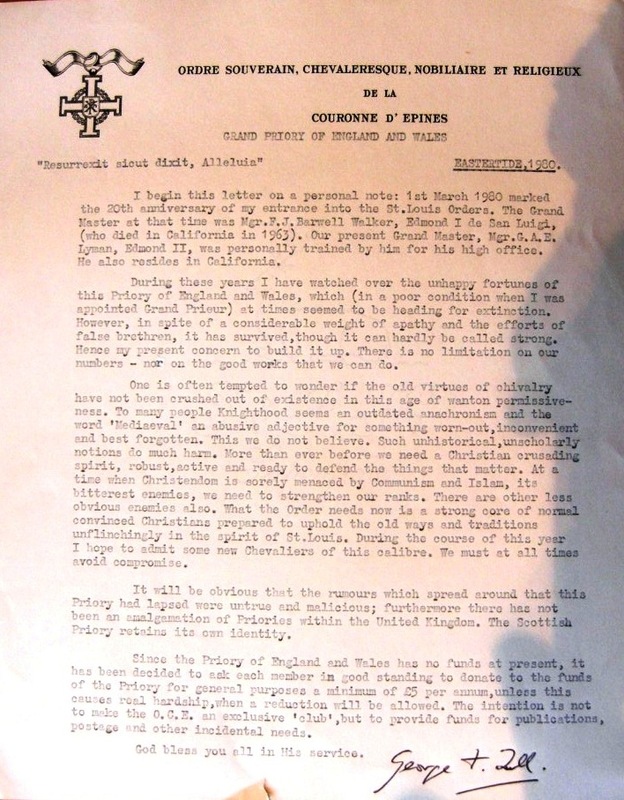 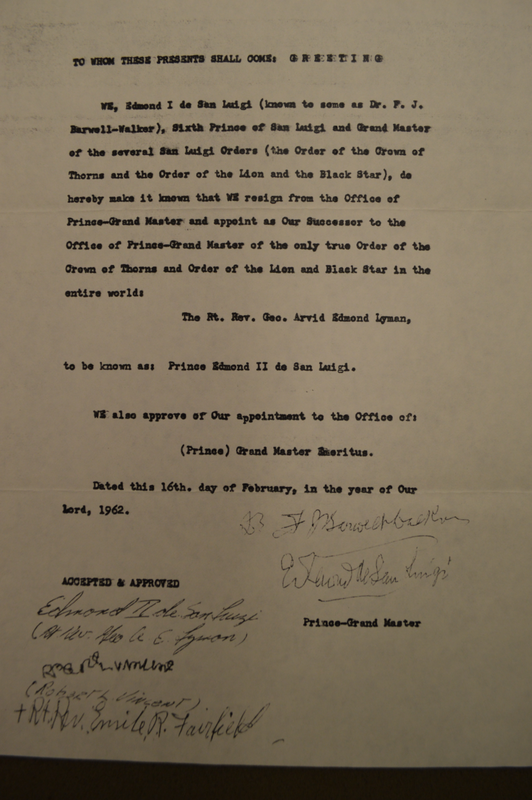 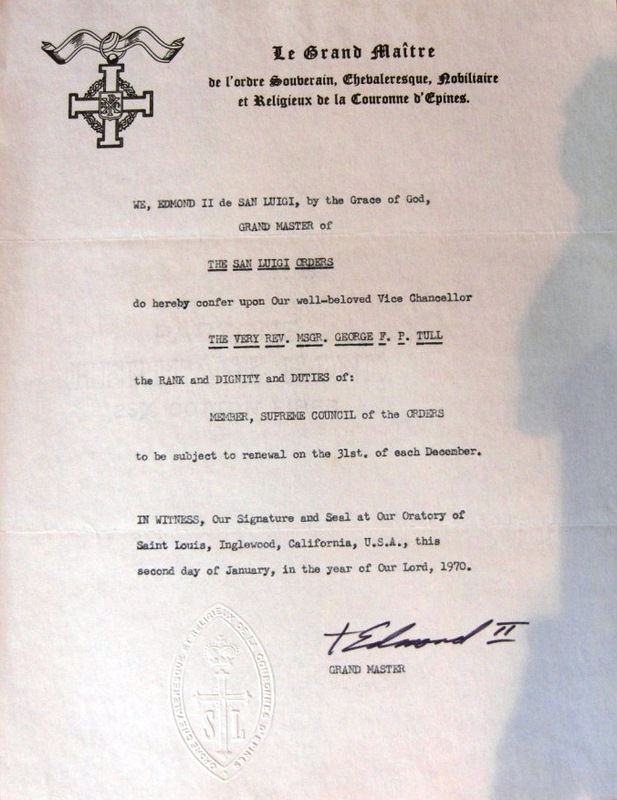 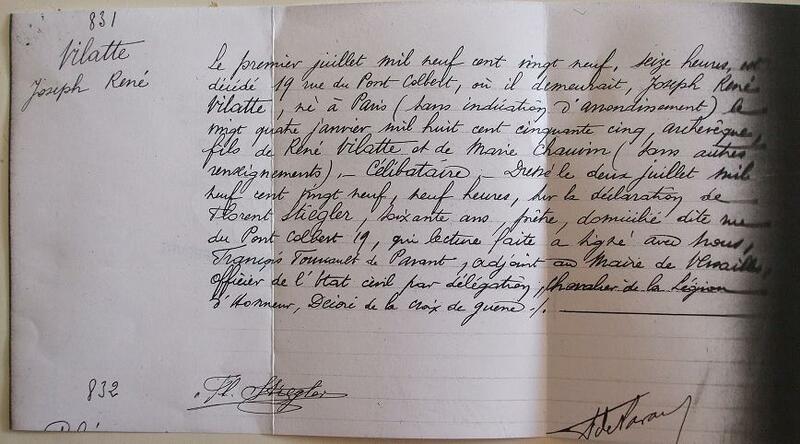 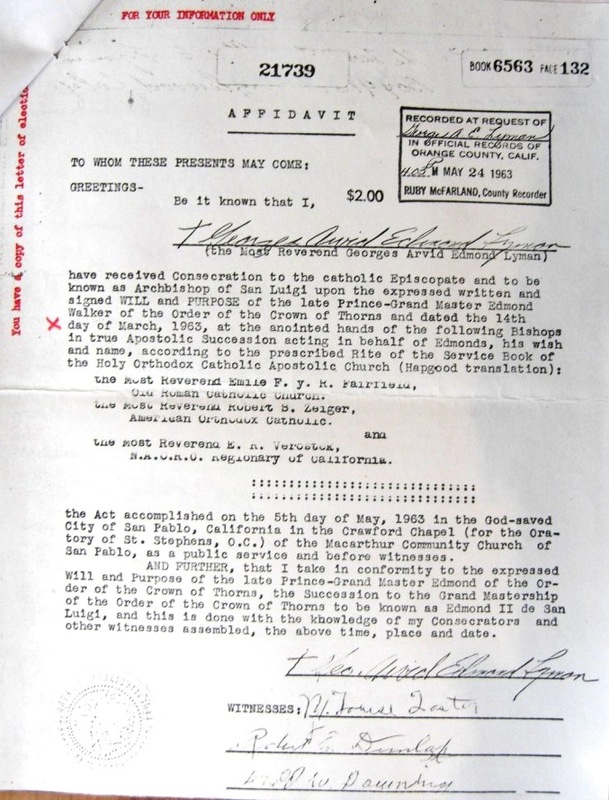 >>25 March 1923 Notarized statement of Prince-Abbot Joseph III naming Francis John Barwell-Walker as his successor in the Order of the Crown of Thorns and related entities. 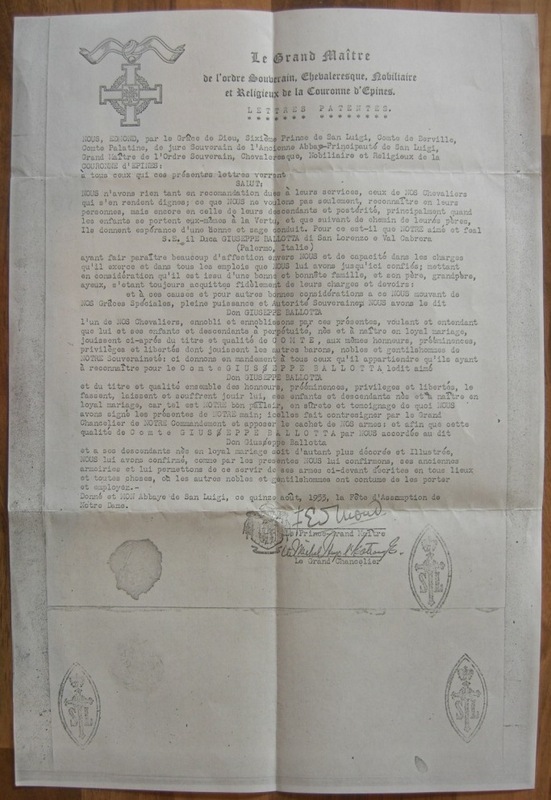 >>Death certificate of Prince-Abbot Joseph III. 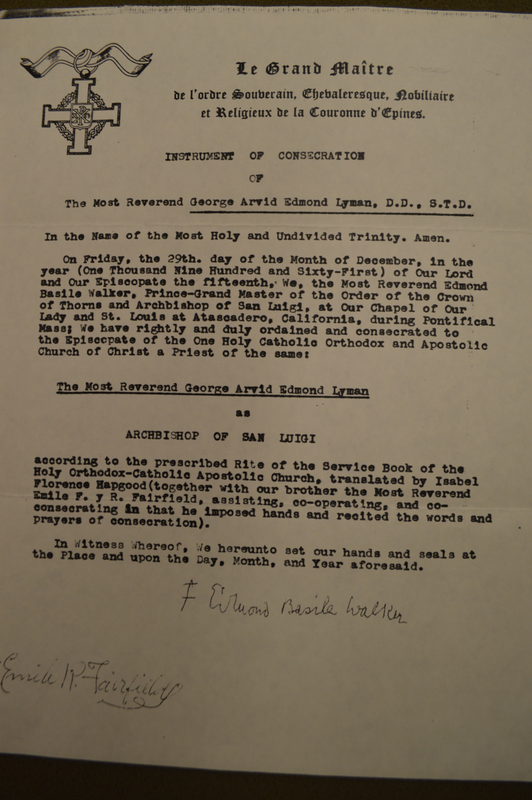 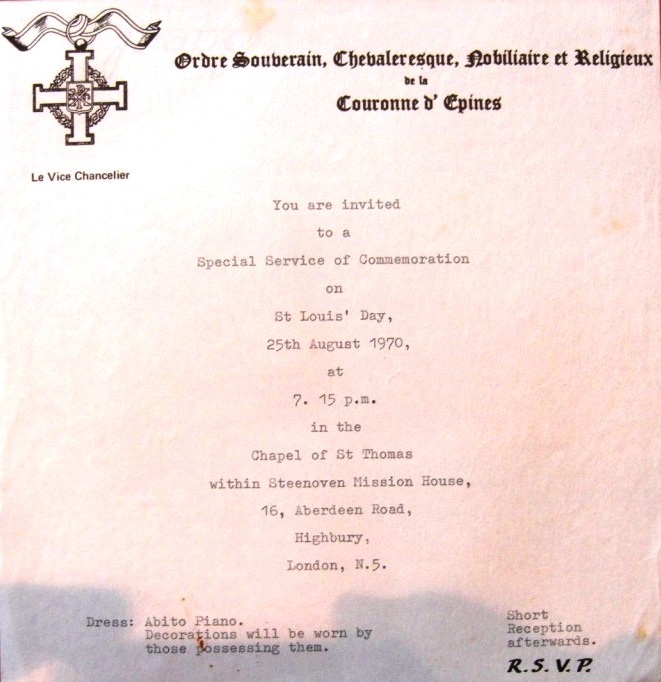 The certificate notes his archiepiscopal status. 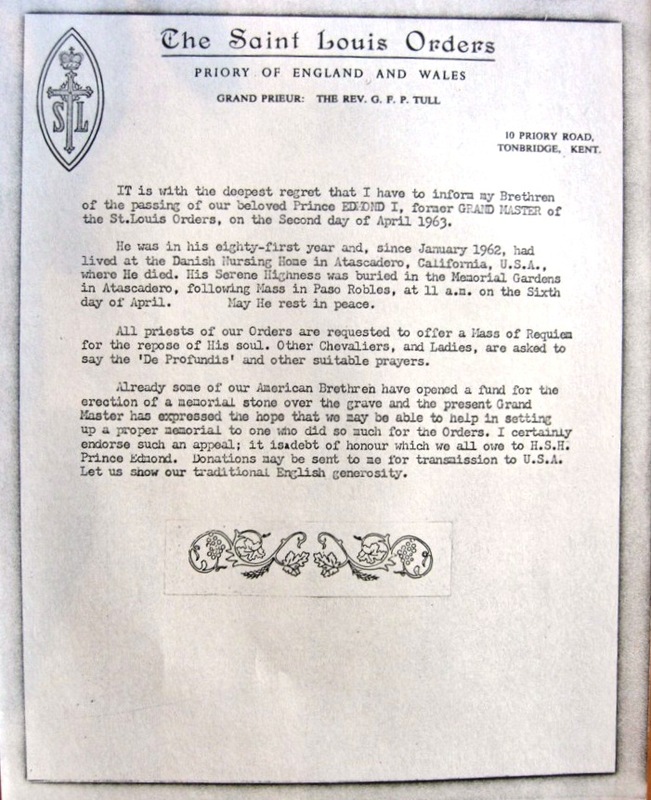 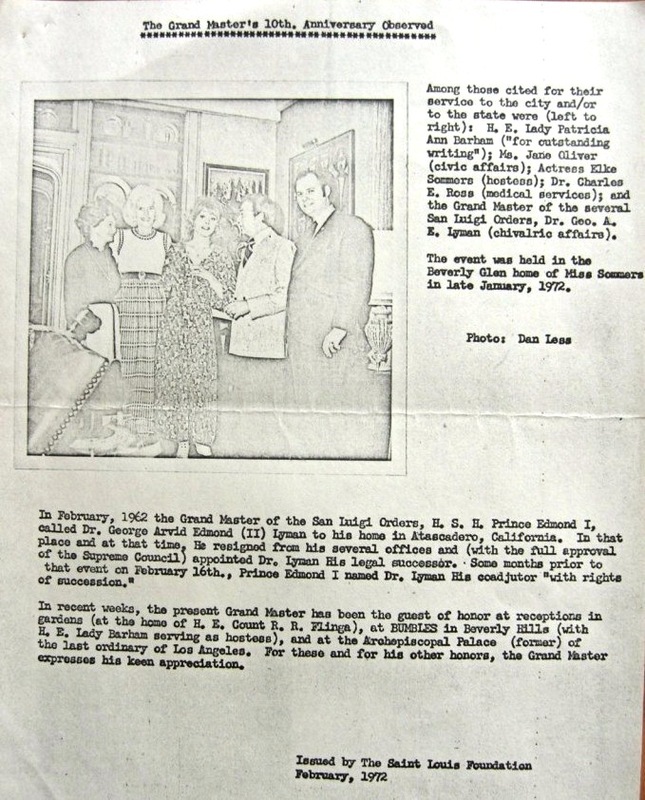 >>Letters Patent of Edmond I conferring the title of Count upon Giuseppe Ballotta, August 1953. 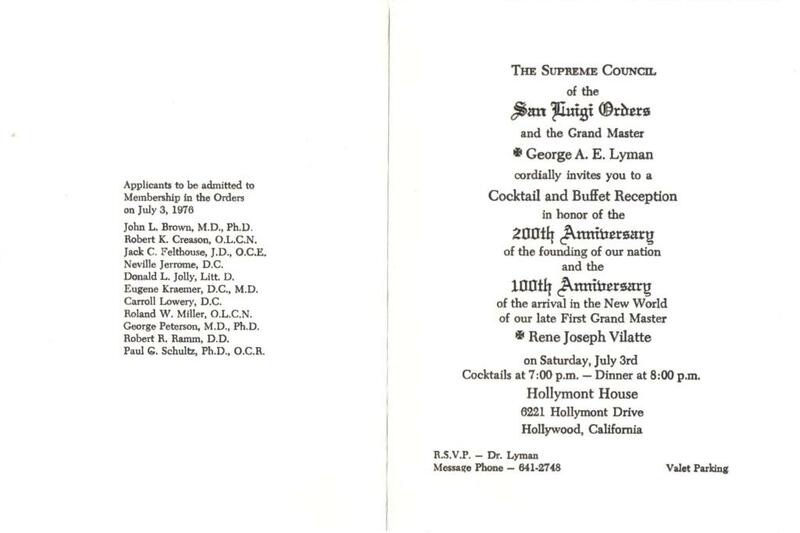 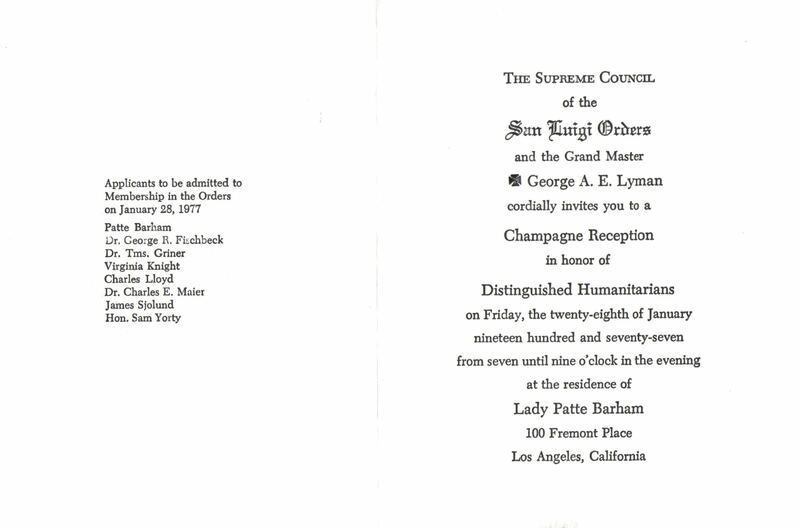 The recipient was President of the Associazione Internazionale Insigniti Ordine Cavallereschi in Palermo. 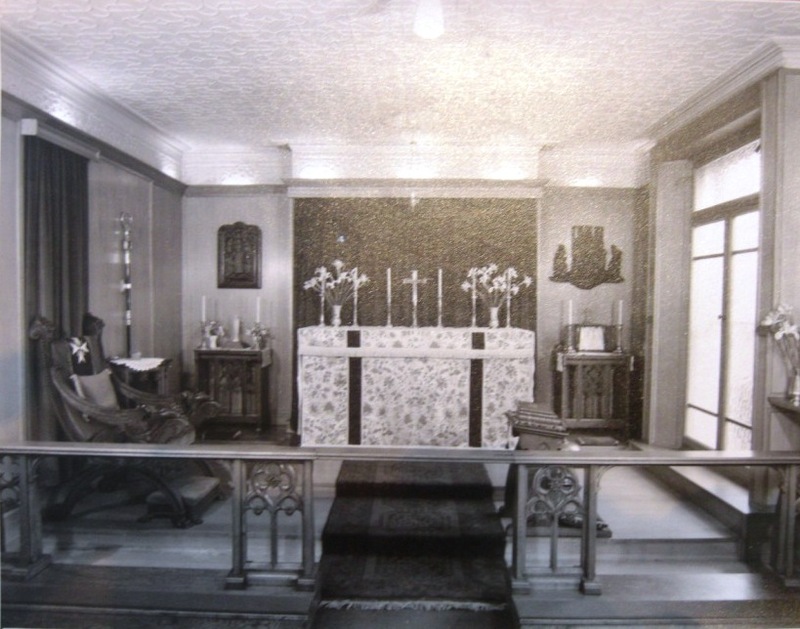 >>The Chapel of Archbishop van Ryswyck at Eldon Lodge, Kensington, where the San Luigi Orders in England were based until 1960. 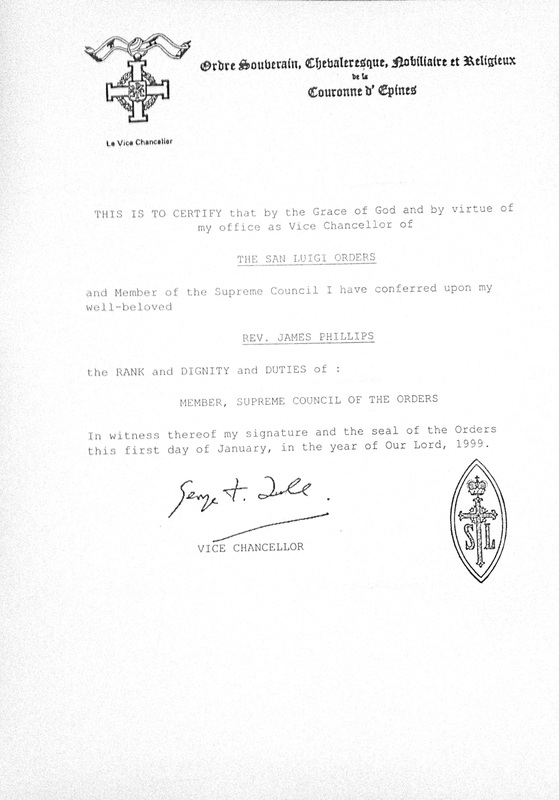 The following documents concern the Revd. 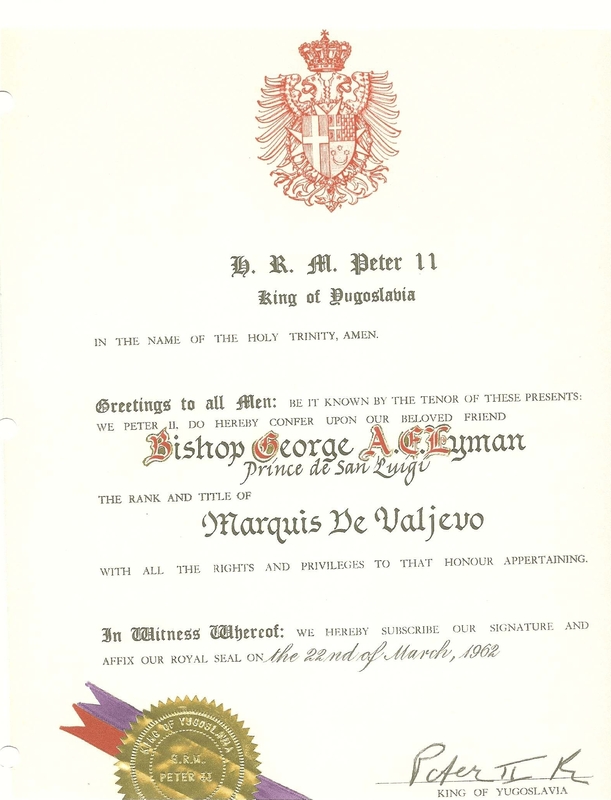 Gaston Fercken, who during his time as an Episcopalian minister became the first Grand Master of the Order of the Crown of Thorns. 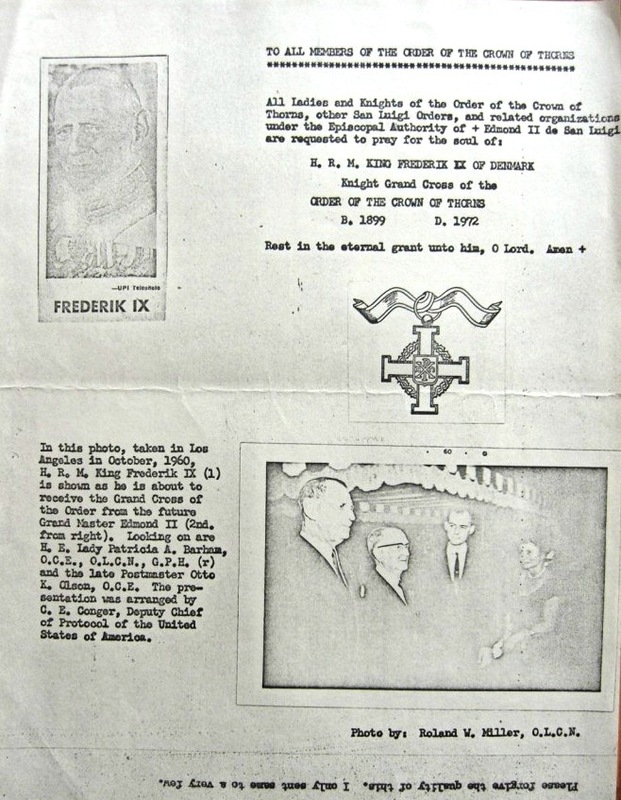 They date principally from his later career which was spent as a missionary with the Church of the Brethren and the Swedenborgians.